Franceth Manor: Books and Adventures and Tea Parties, Oh My! Books and Adventures and Tea Parties, Oh My! Back in 2010 when Francis was in Iraq, before we were even dating, before he had really even considered having children, he would often talk about how brilliant and beautiful our hypothetical future children would be. This usually came up when it was late at night in Iraq, but for me it was the middle of the afternoon, which I think made it all the more endearing. This is probably how he managed to convince me that daughters are the way to go, even though I'd spent most of my life thinking I would have boys. Good thing, too, because a daughter is what we get! Last week I left the house with the intention of driving to Rocky Ridge Farm in Mansfield, MO, which is just shy of 200 miles from my house. That proved to be a bit ambitious for a pregnant woman who needs to stop every 30 minutes, whether by choice or necessity, and I ended up only going as far as Old Towne Antique Mall in Doolittle. I still spent the whole day on the road and in antique malls, and I was constantly reminded of all the ways I subconsciously wanted a daughter all along. 1. Little House on the Prairie - You know I am a dedicated fan if I was just planning a solo day trip to the place where the books were written, just to buy a copy of Pioneer Girl and check out the museum renovations I heard about before I left my construction job. I read at least one of these books every year and have been doing so since I was young. Of course, I do feel like the reasons I love them - learning about the past, the challenges of growing up in a much stricter time, farm life, seeing family dynamics in new ways as I get older, etc - have no gender, but in the end they are books about sisters and appeal to girls more than boys. I am pretty excited at the prospect of someday showing my 8-10 year old daughter that Pa's fiddle is only 195 miles from our house. 2. Mary Poppins - Yes, of course, I am a fan of Disney and so I am also a fan of the movie, but the books are so much more complex. I truly wish Walt hadn't been so antagonistic with PL Travers, because there are so many more Mary Poppins stories I would have loved to see on the big screen! My mom introduced me to them when I was probably about 9, and they are another series I have read again and again. Francis read the first book last year and enjoyed it, but not on the same level as a girl child, obviously. 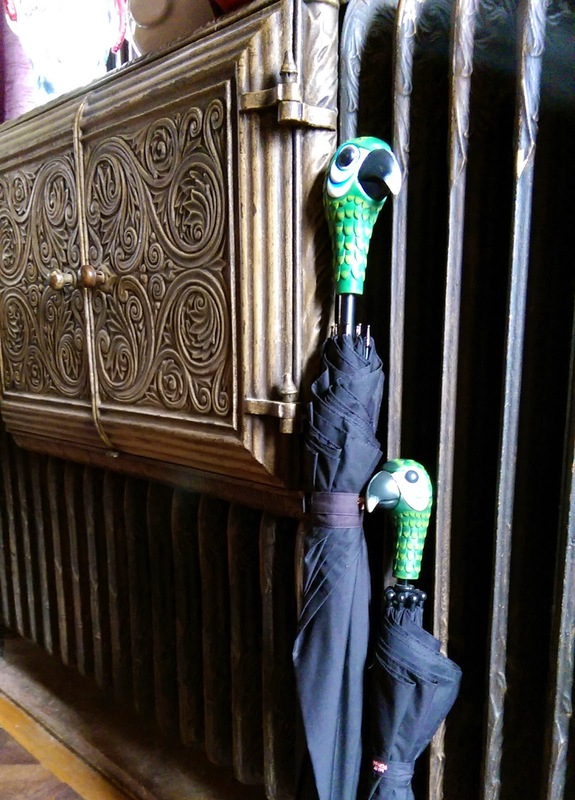 He bought me the smaller umbrella for my birthday last year, because he couldn't find and adult-size one, and then we found the adult-size one at Marketplace Co-Op last year. Oh, look at that. Now we have a mother-daughter set! 3. 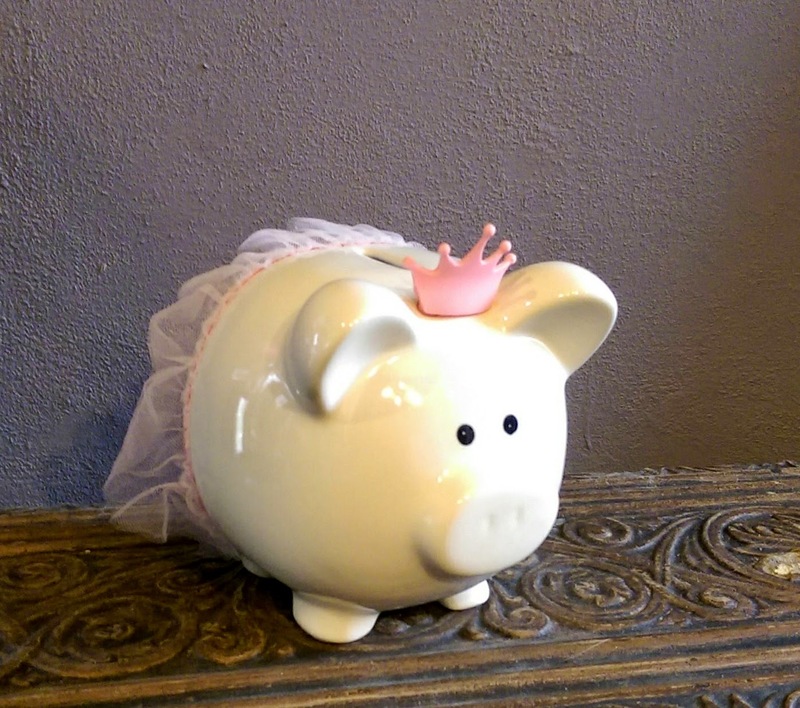 This princess ballerina piggy bank. I bought it on clearance at Target at least 4 years ago, thinking I would give it to some friend's daughter eventually. It stayed on a bookshelf in my house instead, and I think secretly, I wanted it to stay. 4. American Girl dolls - I cannot tell you how many friends with sons (also, my mom) have mentioned this like I'm doomed. Not me! wanted a Samantha doll in 1986, and it was like a sign that they brought her back last year. I went to the store by myself last year just to see it. I will happily take my daughter to tea parties and doll hair salon appointments. 5. 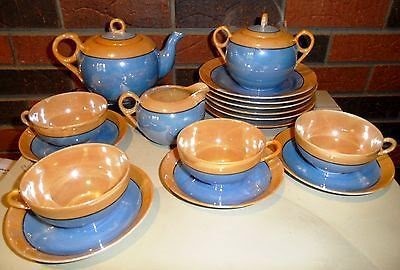 Lusterware Tea Sets - I do not actually own this, yet, but I will be purchasing the next set I see. I've just been waiting for an excuse.